Are you familiar with the phrase, "Jack of all trades, master of none?" It means you can do a little bit of everything, but you aren't the best at anything. The same theory can be applied fitness! Being the biggest bench presser at your gym is great, but if you get winded going up a flight of steps, are you really healthy? Being the fastest runner at your local 5k is exciting, but if you blow out your lower back bending over to pick up a gallon of milk, you're missing out on total body health. That is why we love cross training which encompasses both cardiovascular conditioning and strength training... the result is a "jack of all exercises, master of none." I find many people are in one camp or the other. They love lifting heavy weights, and say any aerobic exercise will ruin their muscle gains, or they love running but think getting bulky from weight lifting will slow them down. Unfortunately, they are missing the benefit of doing a combination of cardiovascular strengthening exercises and muscle strengthening exercises...which is a healthier overall body! Being cardiovascularly fit, but having no body strength can lead to injury...and having all strength and no cardiovascular conditioning can leave your heart health neglected. Meg and I strive to be strong women who have a healthy cardiovascular system as well. Our fitness routine includes strength training every week, but we also do exercises that provide aerobic benefits as well. We may not be winning any marathons or weight lifting competitions, but we are strong women who can run five miles and do burpees and mountain climbers. Our philosophy of fitness is simple...it's being "fit for life". Our goal is to be healthy, avoid injury, and keep up with our girls. We love doing a little bit of everything and we truly believe that we are overall more heathy by taking a cross training type approach to fitness. The biggest benefit of changing up our workouts regularly is that we are far less prone to injury. Overuse can obviously cause a lot of wear and tear on joints, ligaments, and muscles. When you do the exact same exercises over and over again, the load is placed on the same joints repeatedly, and that's when problems can arise. Perfect form for anyone doing the same exercises repeatedly is critical. Whether you are running marathons, or squatting heavy weights, any flaws with proper form can create big problems when you repeat the exercise over and over. I was recently at a conference and a presenter on cross training, specifically through circuits, said something that made sense! The beauty of circuit training is that you are doing such a wide variety of exercises, even if the athlete or client isn't performing it with absolute correct form, the chances of injury are dramatically decreased because they may not do that specific exercise again for weeks. Let's face it, it's hard to stay fit when you have to keep recovering from injuries. I have friends that are impressive distance runners, but can barely carry in a pack of waters from the car. I also have friends that are able to lift pretty remarkable amounts of weight, but if their dog gets loose, there is no way they are going to be able to chase it around the neighborhood...they're going to have to get the car! Meg and I love being prepared for whatever life throws our way, which is what we mean by being "fit for life." We are middle aged women that have both carried couches into our daughter's college apartments (and up 4 flights of stairs), and we've run 5K's and half marathons with our girls too. Cross training gives us the best of both worlds and helps our daily life be a little easier. Sometimes when you continue to do the same exercises, you are strictly working those muscles over and over again, creating stronger muscles in those areas, but weaker ones in other areas. Muscle symmetry is important for overall health and to prevent injury. Someone who focuses solely on bench pressing, but doesn't do many back strengthening exercises, is far more likely to get injured. By doing a little bit of everything, you are training your body for strength and stamina, while hitting all the areas. Everyone has muscle imbalances, but usually you don't even recognize that you have them. Most of our clients are shocked when they start doing new exercises and find how imbalanced their muscles really are. One arm is stronger than the other, or their balance is better on one side than the other. Cross training reveals your muscle imbalances and allows you a vehicle to correct them. It's common to hear people talk about the need to change your workouts regularly so your body doesn't get "used to the workout." Well, it's true! To see real gains in strength and endurance, it's important to change your workouts routinely so that your body is forced to adapt. Cross training can help you avoid plateaus and see overall changes more quickly. It keeps your body constantly needing to adapt to new stimuli. The truth of the matter is that I get bored very easily with a workout. Doing the same thing week after week is not for me, and I suspect that I am not the only one that loses excitement over working out when there is no variety. Meg and I love doing different workouts - everyday is a new adventure! There are two benefits to switching workouts around - if you hate the workout, the next time it will be different, and secondly, you never get tired of doing the exact same thing. Cross training doesn't just keep your body guessing, it also keeps your mind guessing too. I have read so many articles of runners who started strength training to increase their running performance, only to find out that they loved it! How would you ever know that you like to deadlift if you've never tried weight lifting? 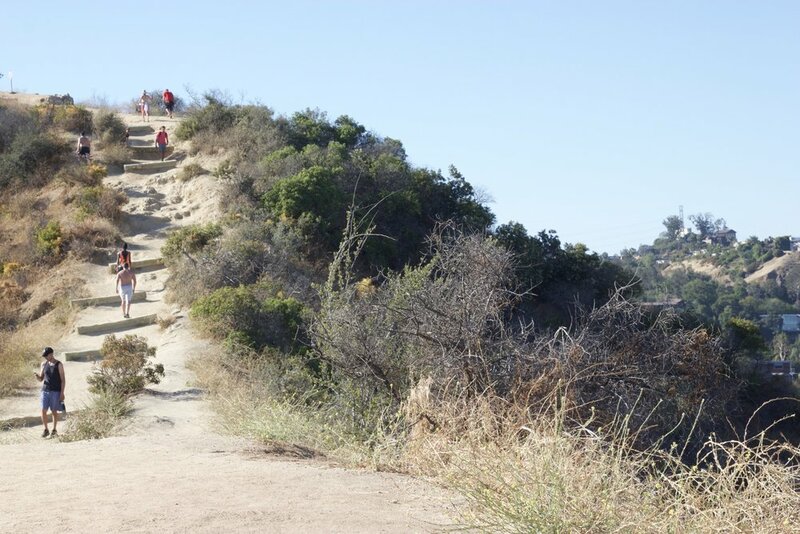 Stepping outside your comfort zone and trying new exercises opens up an entirely new world of possibilities! Being healthy and fit has so many paths to achieve it, there may be something you've never tried that you would actually enjoy! Shaking up your fitness routine may just reveal a whole new world of exercise to you! Look at the big picture when you think of fitness...what type of exercises can you start adding into your fitness journey to help you achieve better overall health? Try varying your fitness routine - perhaps adding strength to your running schedule, or throwing in some cardio conditioning to your weight lifting routine. 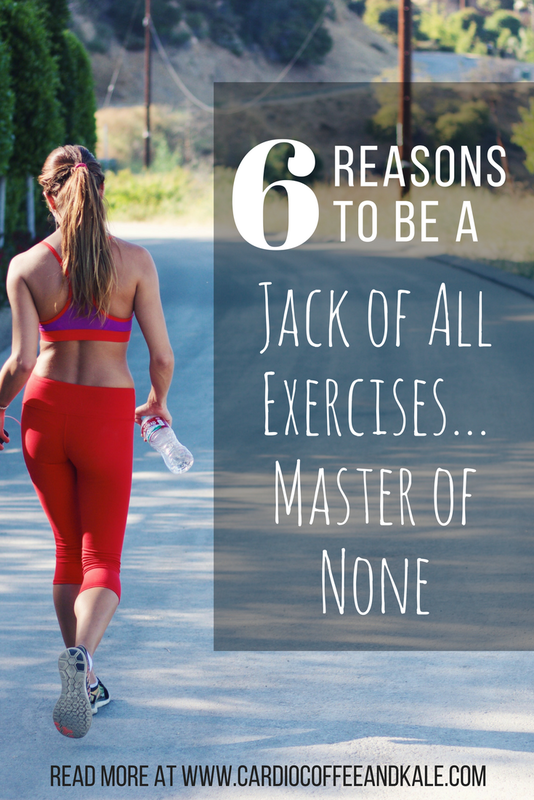 Being a "Jack of all exercises, master of none" can help you become less injury prone, stronger, more heart healthy, and will make you fit for life! Do You Know Where the Magic Happens?